Taft-Peirce is a manufacturing firm founded in 1875. Also recognized as a pioneering sewing machine company during its inception, Taft-Peirce gradually commoditized and went on to leveraged its toolmaking capabilities to become a leading supplier of gauges, including go/no go gauges, to various manufacturing industries. It was also a reputable supplier of toolroom and engineering work on a contract basis. 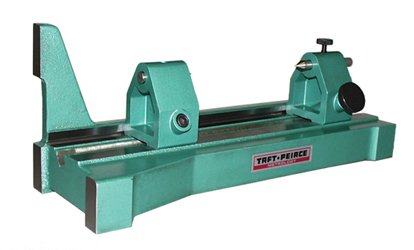 At Willrich Precision, we carry a comprehensive range of Taft-Peirce products. 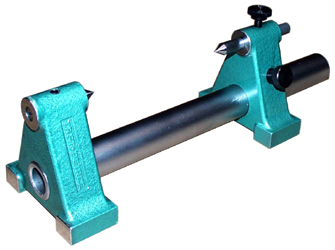 At Willrich Precision Instrument, we offer Taft-Peirce bench centers that provide an easy, fast, and accurate way of inspecting components on mandrels, arbors, or even directly between centers. As these products are constructed from heavy duty materials, you can rest assured that the stellar Taft-Peirce products you buy from us are guaranteed to last long. We understand that large numbers of businesses around the world now depend on the Internet to facilitate purchases of various products. That’s why we have simplified the shipping, order processing, and shopping procedures for our customers. Apart from offering stellar products at reasonable rates, we also ensure that your online purchases can be completed quickly and your orders are shipped within a quick turnaround time. Start browsing through our inventory today and shop for exceptional quality Taft-Peirce products with ease!